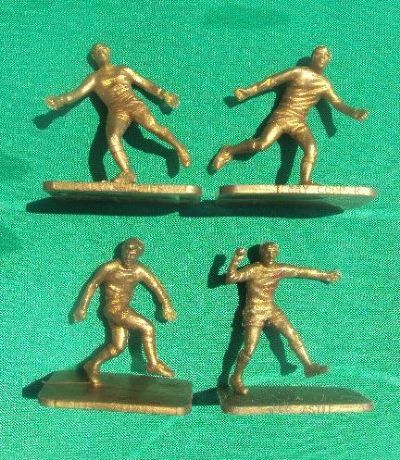 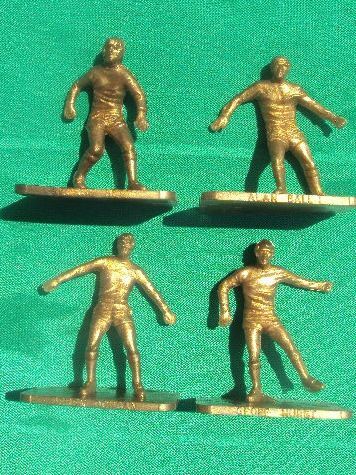 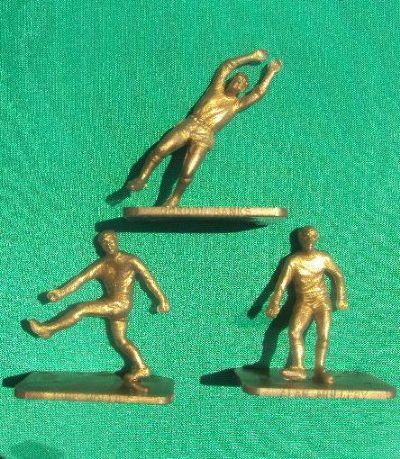 A set of eleven gold plastic football figures from the early 1970's given away with Total Petrol. 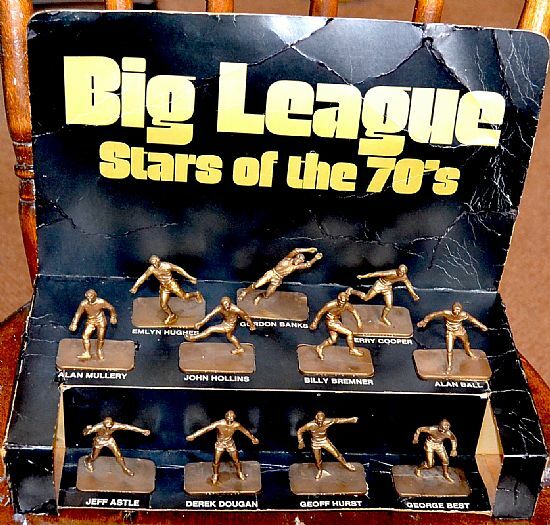 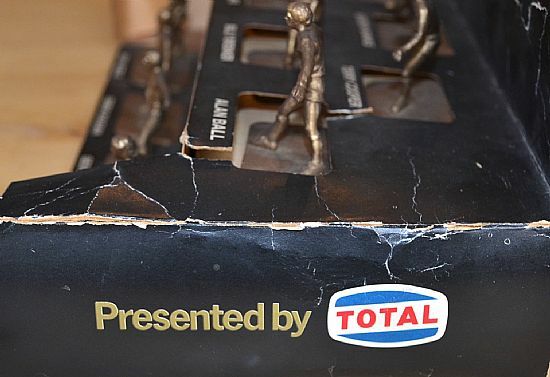 The players featured are Gordon Banks, Emlyn Hughes, Terry Cooper, Alan Mullery, John Hollins, Alan Ball, Jeff Astle, Billy Bremner, Geoff Hurst, Derek Dougan and George Best. 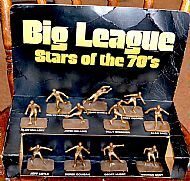 Now complete with their original cardboard display stand. 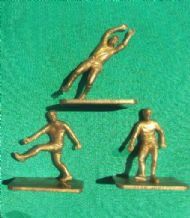 The original card stand plus all eleven figures. 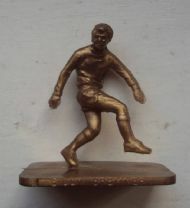 Rarer than rare itself! 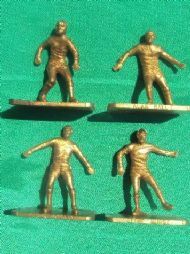 A complete set of eleven loose gold figures, a full set for sale. 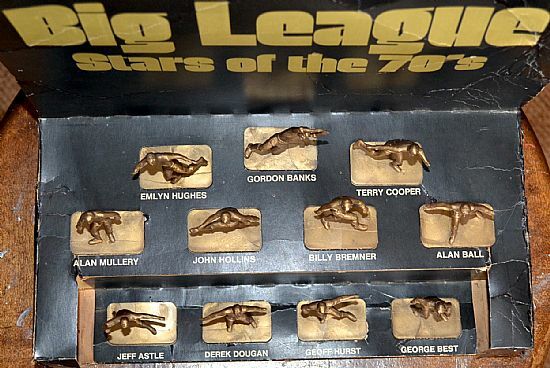 Eleven top players from the 1970s.